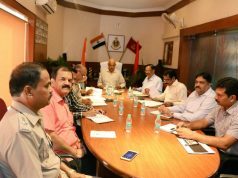 Bhubaneswar: Konark International Cyclothon team announced the much awaited date of 4th Konark International Cyclothon & Tour De Kalinga. 4th Konark International Cyclothon & Tour De Kalinga will start from 8th December, 2018 and will conclude at Bhubaneswar on December 23, 2018. KIC also announced internationally famed Sprinter Dutee Chand, Trans Siberiab Extreme Cycling Race Participant Dr. Amrit Samarth, Internationally acclaimed sand artist Manas Sahoo joined as their Brand Ambassadors. 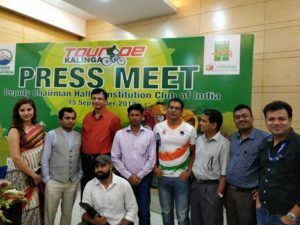 This was announced by Konark International Cyclothon and ROOTS of Odisha Foundation , Founder and Director Sudhir Dash in a press meet at the Constitution Club, New Delhi. Mr Dash said Konark International Cyclothon will start from 8 December, 2018 with unique Moto and an enlarged perspective. Come 8 December, 2018 and the chilled winter, over 1,000 of cyclist will parade on the Marine Drive from Bhubaneswar VIA Konark to Satapada. Out of which 40 cyclist mentored by professionals will go on the 15 days cycling expedition from Bhubaneswar -Koraput-Bhubaneswar. Cyclists from various corner of the world joining the Konark International Cyclothon & Tour De Kalinga along with iconic cyclists like Dr. Amit Samarth, Yogendra Singh, Prof. Sadananda Sahoo, Jagiwinder Singh Binay Sahoo and others. On this occasion KIC released sand animation on benefit of cycling and objective of Konark International Cylothon . The sand animation is prepared by Internationally acclaimed sand animator Manas Sahoo. 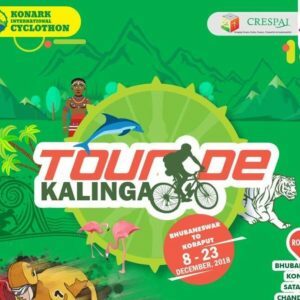 KIC team also unveil the logo and brochure of Tour De Kalinga. 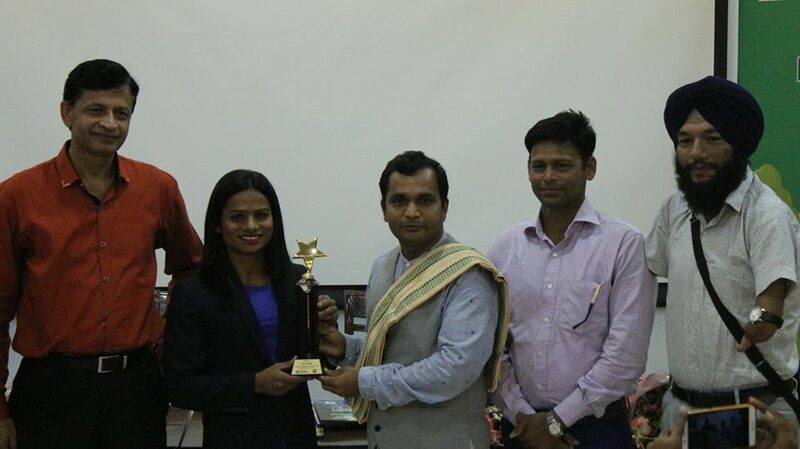 With a vision for mass appeal and to ignite citizens of this country, On the occasion, the organiser has felicitated the Legendary Personality and Youth Inspiration to Ms Dutee Chand, Dr. Amit Samarth, Manas Sahoo for their extra ordinary achievement and continued efforts to promote Green cause. This is with a vision for mass appeal and to ignite citizens of this country for promoting clean and green. Ms. Dutee Chand the Olympian sprinter who has made Odisha and India Proud for her Asiad Silver recently has been a brand ambassador of KIC is a role model to many for promoting carbon minus life and day no to plastic. While most cities in India fight Pollution and are worst affected due to Climate Change, Odisha has its unique demographic beauty. We should count our blessings and preserve our nature. 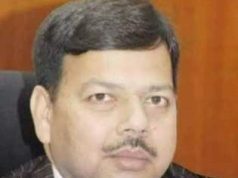 This year KIC will cover the Coastal Line and the beautiful green mountain terrain of the eastern ghat showcasing the serene beauty of Odisha to the world narrates Shri Sudhir Dash. This visit via Chillika, Rambha, Chandragiri , Eastern Ghat, Daringi badi, Phulbani, Nayagarh and the sabara khetra of Koraput is a mesmirising treat to our participant says an excited Sudhir Dash.